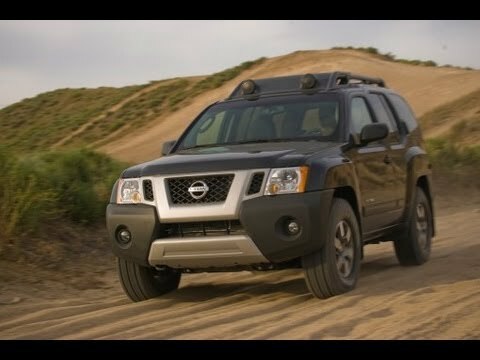 Built on the truck platform that also underpins the Armada and Titan, the 2012 Nissan Xterra provides a well-balanced mix of on-road comfort and off-road capability that have earned it at least a semi-cult following. All Xterras come with a torquey 261-horsepower V6 engine, and offer rear-drive and dual-range 4-wheel drive configurations. People should know that the Xterra is overall a good vehicle even though it has faults. To begin with, I like the sporty look of the xterra. Also, it serves my needs well as it can pull my kayak trailer with no problems and I can haul the equipment in the back. When shopping there is plenty of room to load the groceries. However, the back seat is difficult to get into as the doorway is small but once you get in the stadium seating enables you to see out the windows better. Also, it is not a smooth riding vehicle. My car needs work asap or I need a new car. My xterra definitely needs some work. The inside of the roof is falling off and is holded by some wall pinchers. Also the interior of the care where the radio is the plastic part if broken and falling off. Also the seats are in bad condition and are starting to rip. The driver side seat is the worst. Also the alarm that it has is no longer working on one of the doors and it lock on its own sometimes. The room in the back is amazing! I sleep in it all of the time. Can fit multiple pairs of skis in it as well. Roomy for 5 people as well. The off-road capability is great, and has a lot more clearance than I usually give it credit for! The cloth seats are nice. It is narrow enough to fit down some roads other wider cars cannot.